One of the best inventions of the 20th Century is definitely the Duke of Edinburgh Award. I’ve just spent the last two days as an Assessor for two groups of girls from the Maynard School in Exeter. The expedition started in Sidbury and last 2 days including an overnight camp at Ladram Bay. 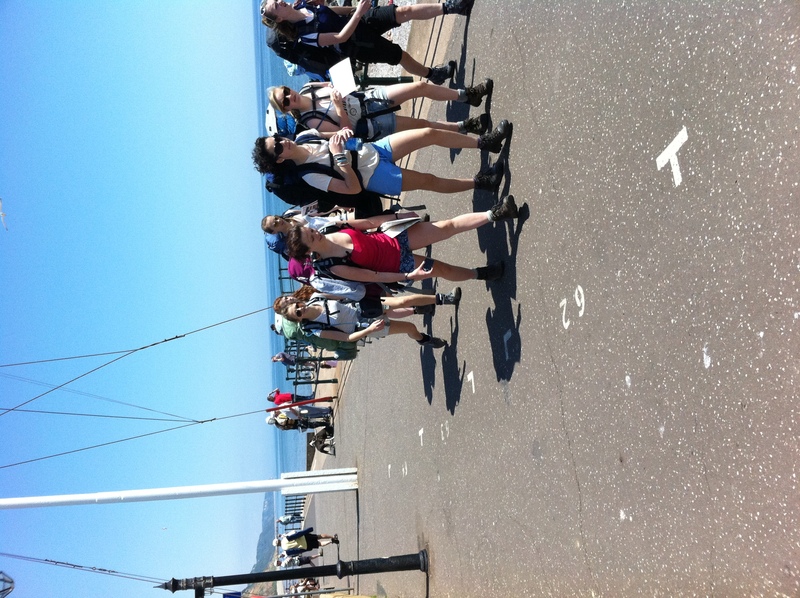 The weather was absolutely fantastic and both teams of 7 girls each got round the 28km route – up and down throughout East Devon and along the South Devon coastal footpath. Team B managed to find and photo an adder up on the heathland on Beacon Hill. Here’s team B leaving Sidmouth. What is so fantastic is the team spirit the girls show and how fantastically polite they are. I gave up my weekend to assess their expedition and to a girl they were delightful and all of of them said thank you ‘Mr A’ at the end. They have all achieved a great deal this weekend in difficult but wonderful conditions – I’m really pleased to have found the time to have helped them. Long live the Duke of Edinburgh Award Scheme – make sure your child signs up – it will be the making of them!